Having a double-major in Environmental Studies and Studio Art, Niccolo Palad Jose's latest collection dubbed as "Remnants" merely speaks of what this multi-talented visual artist has gone through in his life. And sharing the beauty of nature in its most heart-warming way, last August 29, 2013 in Altro Mondo Gallery, Greenbelt 5, Jose finally opens to the public his renowned collection that is set to steal everyone's heart, mind and soul. 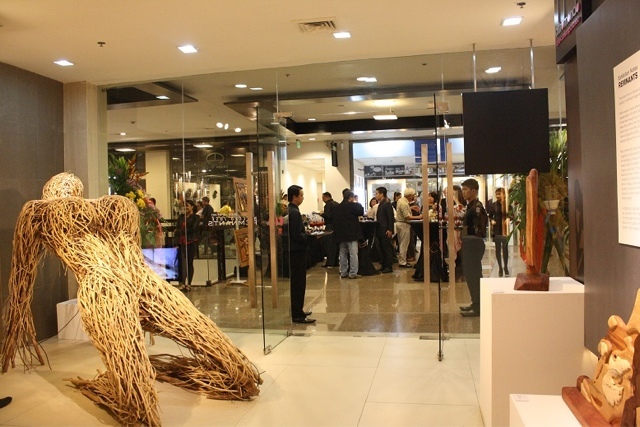 Known for his organic sculptures, Niccolo Jose's second solo exhibit, "Remnants", shares not just his incomparable ingenuity and creativity but also history that came from the woods that are used in this collection. He shared that most of the woods used in this collection came from old houses that hold heart-warming and truly Filipino stories hence he called them "Remnants." During the opening night, which was attended by numerous art aficionados and celebrities, the 26-year-old sculpture told that it's excites him every time he starts dealing with small ideas and once he combined all of them and start having this some sort of emotional attachment to them, that's the time he considers his work an art. "I constantly think of innovative ways to construct my artworks from discarded compost materials and scraps of repurposed old wood. Much of the inspiration of my three-dimensional works is also attributed to my extensive self-study of the human body’s muscular systems," he added. And since some of his pieces that are on display are classified home furniture, when asked about the difference of his work to other furniture pieces that are also considered art, he says "There's a big difference between buying a simple chair that would be worth a thousand pesos compared to my pieces because you're basically buying a piece of Philippine history." Niccolo Jose's "Remnants" exhibit is open to the public from August 29 to September 14, 2013 at the Altro Mondo Gallery in Greenbelt 5, Ayala Center, Makati City. 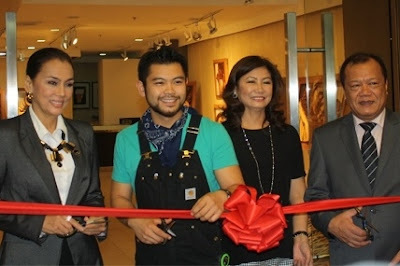 You can also visit his studio at Suite 227, 2nd Floor LRI Design Plaza, 210 N. Garcia Street, Bel-Air Makati City. You can check out his website www.nicojose.com to see more of his works and achievements. 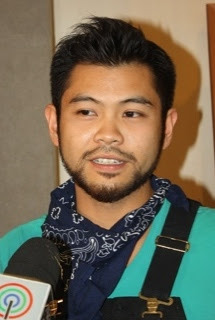 Or you can follow him on Twitter (@NiccoloJose) to get the latest news and updates about him and his works. "I aim to cause someone to pause and escape - even briefly - the stress and/or monotony of everyday life." - Niccolo Jose. P.S. Thanks to Eric Capacia of Fierce Blogs for the pictures!